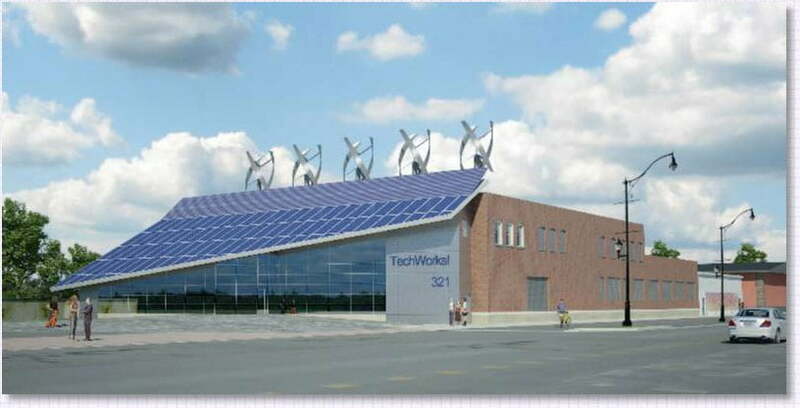 FOR IMMEDIATE RELEASE – Monday, February 18, 2013 – Binghamton, NY – SunMaxx Solar, a leading vertically integrated manufacturer of solar thermal systems and components, is excited to be presenting at the Center for Technology & Innovation’s TechWorks! Open House on Saturday, February 23rd from 11 am to 3 pm. The open house will discuss America’s leading and fastest growing energy industry — solar hot water. Along with exploring solar hot water solutions, it will examine the diversity of technologies pioneered in upstate New York which include IBM, Link simulators, McIntosh Labs’ high end audio, Phillips Foundry aluminum castings, and many more. Ed Gunn, Sales Manager at SunMaxx Solar will be conducting the presentation entitled, “SunMaxx Solar – Solar Hot Water Solutions: An Investment with Real Returns”. He’ll be providing a general overview of solar thermal technology with a focus on the technical side, as well as system performance in New York State. The Center for Technology & Innovation’s TechWorks! was designed as a center to showcase upstate New York’s concentration of inventions and explore the innovation process. TechWorks!’s goal is to connect the work of companies large and small; past, present, and future. TechWorks! Prototype Workshop is located at 321 Water Street, Binghamton, NY one block north of Clinton Street, is handicapped accessible, with plenty of parking. The event is open to the public. SunMaxx Solar aims to build a sustainable future for our global community and is proud that the company’s installations greatly contribute to reducing our carbon footprint. In today’s energy consuming world, SunMaxx Solar offers world-class solar and renewable energy products, striving to meet the increasing need for alternative energy sources.